I grew up as a physically active child in New Mexico. That was how I “did fitness” for the first 21 years of my life. Walking, riding a bike, playgrounds, Boys Club activities and playing sports year-round. I never thought about training heart rates, body fat, muscle mass, eating right or any of those things growing up. My first requirement for exercise: it has to be fun! You will keep doing exercise you enjoy. When my football playing career ended after college, I had a problem. What would I do to stay active? Exercise had always come automatically with my lifestyle. Now, I was working behind a desk as an accountant most of the day and I had become sedentary. Except for the occasional memberships on rec sports teams, I was not very active. I gained 30-40 pounds in about 2 months time! So, I did what many people do. I joined a health club and began to exercise. It seemed like work instead of fun because I had never been a member of a health club. My exercise habits would basically go this way: good workout habits for 3 months, sporadic workout habits for 3 months. I didn’t really pay close attention to my eating habits. Over my years as an accountant, I would gain and lose that 30-40 pounds depending on my workout habits. I had settled into a routine I was pretty happy with until I started studying to become a personal trainer in 2004 and becoming certified in 2006. Since then, I have helped thousands reach their fat loss and weight loss goals through live one-on-one training, online training and phone consultations. Fat loss and weight loss, make it happen this time. Transform your body to lean for good. No more yo-yo weight loss and weight regain. Start burning body fat today—no more excuses or wasting time. Start shaping your body and losing fat and weight for good. 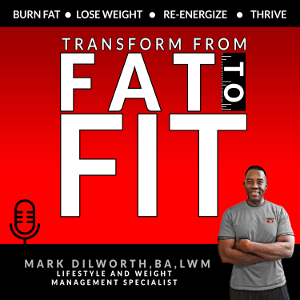 I have been a fat loss expert and fitness author since 2006 and am the owner of Her Fitness Hut, My Fitness Hut, Sports Fitness Hut and Your Fitness University. Forget about weight loss and concentrate on FAT LOSS. Building muscle mass will BURN THE FAT and permanently SPEED UP YOUR METABOLISM. The weight loss will take care of itself. Hello, I’d like to submit a request to submit a few guest posts for your blog. My guest posts center mainly around fitness, specifically instructive articles on yoga and other kinds of workouts. I write for Solow Style (www.solowstyle.com), a high-end women’s lifestyle and fashion site. My superiors at Solow are very selective about the websites they wish to publish guest posts, and they have found your blog to be a great fit. My guest posts are original, unpublished, and at least 500 words. Each of them have two natural links in the body, which can also be placed in the author bio on your request. Please let me know if you’re interested in publishing my guest posts. I can publish up to three articles per blog at one time. Thanks so much for your consideration. Email me at carolyn@stickywebmedia.com if you’re interested. Really nice site. Keep up the good work and keep the useful information coming! We’ll be sure to check back regularly. Thanks for stopping by Her Fitness Hut! Let me know how your workouts are going. Damien….thanks for stopping by! How often do you do strength training? Excellent blog you have got here. You will find me browsing your stuff often. Bookmarked! I found your site and think it really full of useful info. Your aritcle writing is clear, precise and easy to follow. I’m going to review more of your articles. Keep posting great info! Kristyn….thanks for the visit! Let me know how the workouts are going. Extraordinary writing. I’ve bookmarked it without a doubt. Hello may I quote some of the content found in this blog if I provide a link back to your site? Thanks Johnny…yes, you can quote some of the material. My client is a health and wellness company who has recently come across your site and they are very interested in having a text link on your site. How can we go about doing so? I just found your blog while surfing around the net. You have some great content that makes interesting reading! I am an avid health/weight loss writer and researcher and I manage several health related websites. So I thought I would make contact and ask if you would be interested in exchanging links with me? Thanks Linda for the visit….I’ll be in touch. Yes, you can include my link in your store. Thanks for the visit! I just wanted to know if it’s OK for me to link to your blog from my website. Thanks for the visit Kathy! You can link to my site. Thanks for the visit Adam and thanks for the great comment! Adam…..Thanks for the visits, comments and recommendations! As this is relevant to the content of your site, I was wondering whether you would be open to discussing placing a link to ourselves on your website? In exchange, I would be more than happy to negotiate an incentive for yourself, such as an exclusive discount for your readers or payment of a fee if necessary. Let me know what you think – I’m very open to other possibilities, so feel free to make suggestions. Please let me know if you wish to discuss further and we can arrange a time at your convenience. Been following for a while. Great articles, great advice, and great job! Thanks for the follow Tyler!